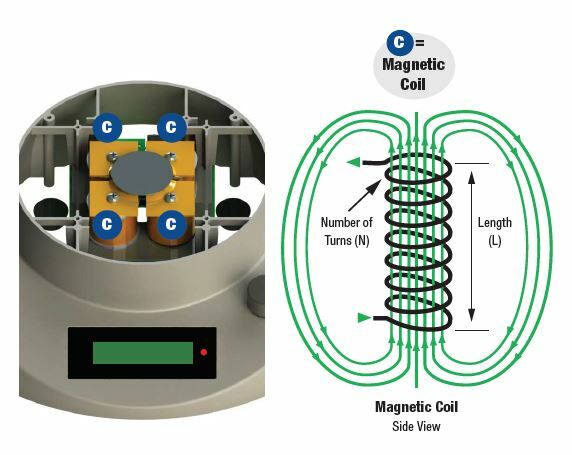 The magnetic coil technology works on the inductive principle with alternative current (AC) as its driving force. The generated moving magnetic field drives the spinning of the stir bar in the vessel. Several advantages come with a motor-less magnetic stirrer versus a traditional magnetic stirrer. With advanced coil technology the strength of the coupling between the unit and stir bar is controlled by the amount of electric current that flows through the coil. The more turns of the wire making up the coil, a stronger magnetic field is produced. 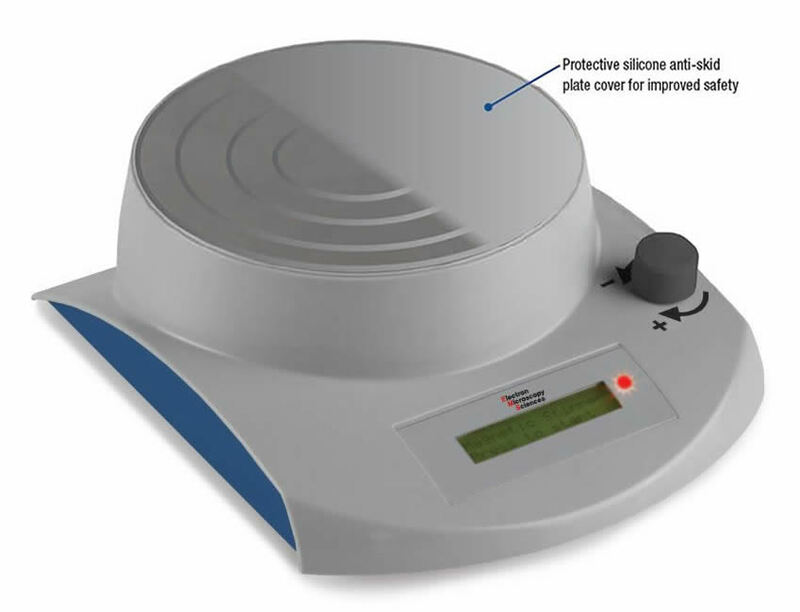 The Magnetic Induction Stirrer uses advanced coil technology resulting in the unit creating the strongest magnetic coupling, perfect for viscous solutions. 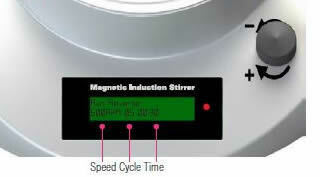 The Magnetic Induction Stirrer offers an easy to use programmable, variable time and speed, digital display. Multiple stirring modes and options are available to achieve the best possible stirring results for a wide range of protocols. The stirring speed can be adjusted while a program is running.